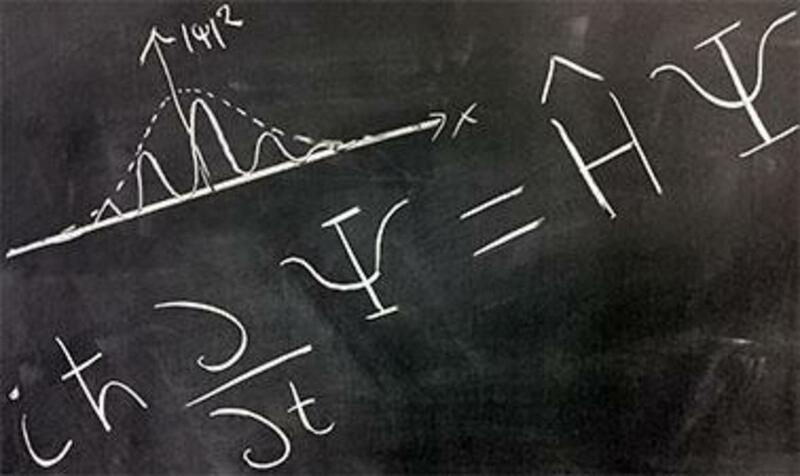 Equations are crucial to solving physics questions and there are an enormous number of them. A list of formulae is included in a-level physics exams, so there is no need to remember them all. 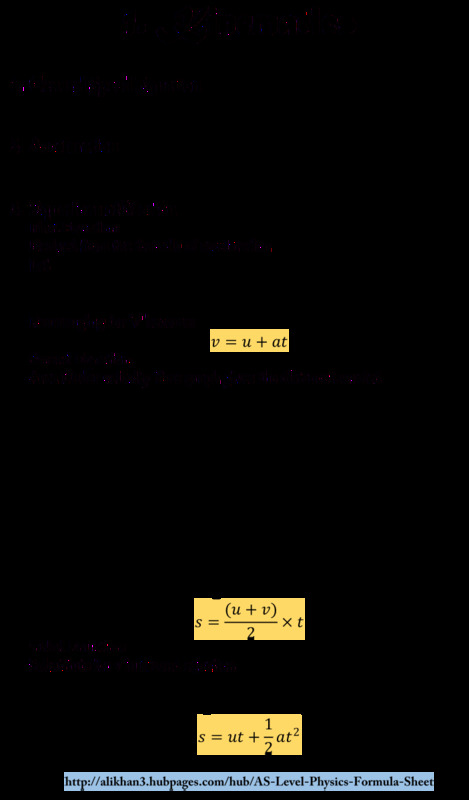 However, to be able to use these equations they need to be understood, what do the symbols mean and when can the equation be applied? On this formula sheet each equation is listed and then briefly explained. The following formulas are specifically for the AQA physics specification but the topics are similar between different specifications. Where needed, units are shown in square brackets e.g. Length [m]. There is also a formula sheet for AS level physics here. Angular velocity measures the speed of rotation, the change in angle per second. This angle is given in radians. Centripetal acceleration is responsible for keeping an object in circular motion. 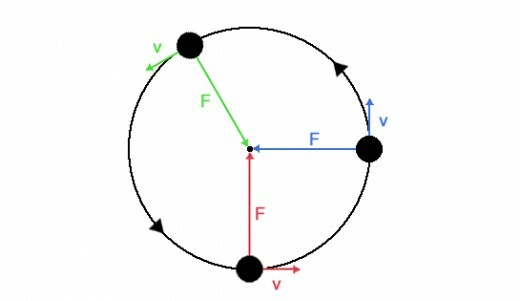 This acceleration is at right angles to the object's velocity and points towards the centre of rotation. Hence, the speed remains constant but the direction is constantly changing. 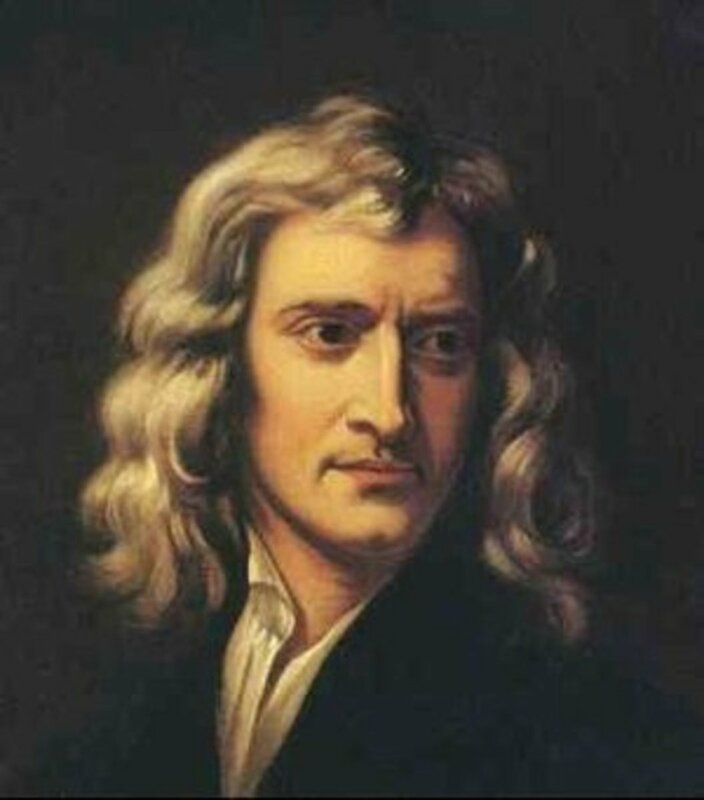 By Newton's 2nd law, the centripetal force is equal to the centripetal acceleration multiplied by the mass of the object in circular motion. Simple harmonic motion (SHM) happens when the acceleration of a body is proportional to its displacement and in the opposite direction to the displacement. The displacement is measured from the equilibrium position (x = 0). The amplitude is the maximum displacement of the object from equilibrium. The plus or minus symbol indicates a choice of direction for the velocity. Remember that a velocity is a speed in a specific direction. The maximum speed is achieved when the object passes through the equilibrium position. This corresponds to all of the potential energy having been converted to kinetic energy. The maximum acceleration corresponds to the object being at maximum displacement (x = A). This corresponds to all of the kinetic energy having been converted to potential energy. This equation applies to an oscillating mass attached to a spring. 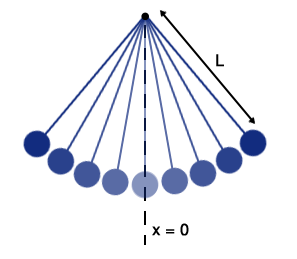 A simple pendulum is a point mass hanging from a rod of negligible mass. The heat energy can be added or removed, depending on whether the substance is being heated or cooled. Specific heat capacity is a property of the material being heated. Specific latent heat is the energy per unit mass to change the state of a specific material. For example, the latent heat of fusion of water = 334,000 J/kg, this is the energy needed to melt ice into water (or freeze water into ice). This equation is only true for an ideal gas, a simplification of the highly complex nature of real life gases. Kinetic theory describes the properties of a gas (pressure, volume etc.) 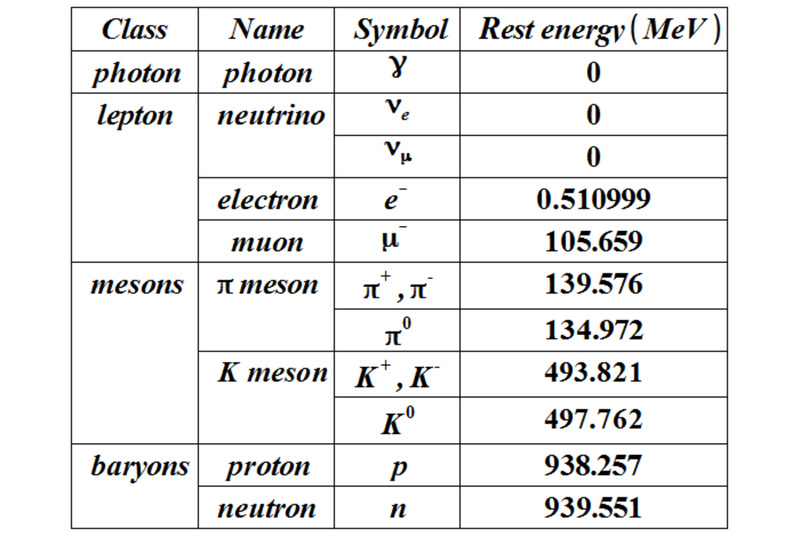 in terms of the random motion of a number of individual gas molecules. The gas molecules have a wide range of speeds. Root-mean-square speed is the average speed of the molecules. To calculate it, the molecular speeds are squared, a mean is taken and then square rooted. The average kinetic energy is directly proportional to the temperature of the gas. 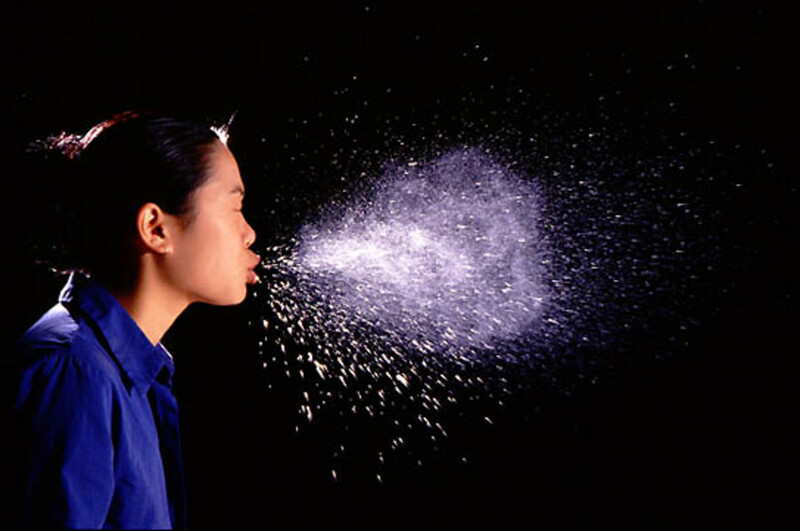 In a warmer gas, the gas molecules will, on average, move faster. This is the magnitude of the gravitational force. The direction is always towards the other mass, as gravity is only an attractive force. All distances are measured from the centre of mass of the masses. 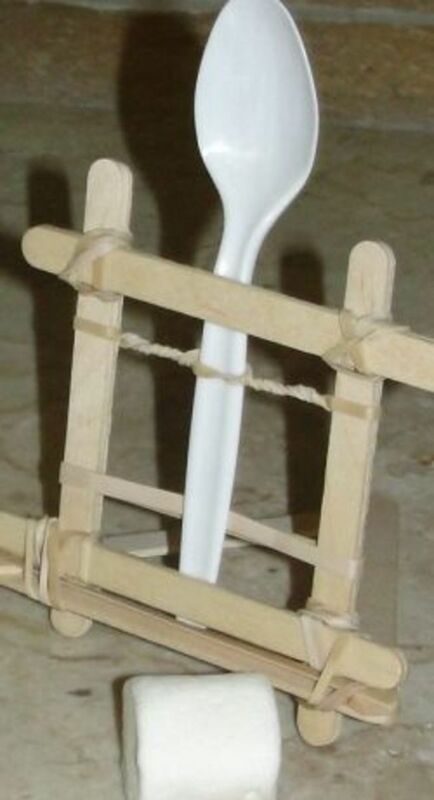 The centre of mass is a theoretical position where all the mass of an object can be assumed to be located. A radial field has field lines that move radially outwards from a central point. Hence, the separation of the field lines (a measure of field strength) increases with distance from the central point. A spherical mass will produce a radial field. The gravitational field strength on Earth is usually assumed to be a constant value within a few kilometres of the Earth's surface (9.81 m/s2). This is the work done to move a mass within a gravitational field. This is the gravitational potential for a radial field. The direction of the force is decided by the signs of the two charges. Like charges repel and opposite charges attract. Notice the similar appearance of this equation to the gravitational force equation. The equations for gravitational and electrical fields follow a very similar pattern. A uniform field is a constant strength at every point within the field. A uniform field is well approximated by applying a voltage across two parallel conducting plates. This is the work done to move a charge within an electrical field. This is the electric potential for a radial field. Capacitance is a measure of the ability of an object to store electrical charge. This is the capacitance of two parallel metal plates separated by a dielectric, known as a parallel plate capacitor. Initially, the electrical charge builds up quickly on the capacitor plates. This rate then slows down as the incoming electrons are repelled by the electrons on the plate. Eventually, the charge reaches a constant value, ie. the capacitor is fully charged. 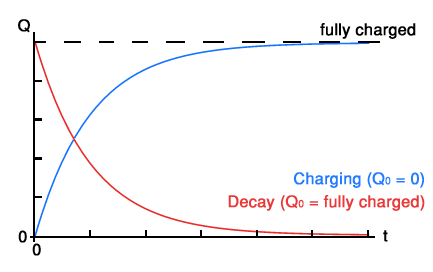 The time constant is the time for the charge to increase/drop by about 37% when a capacitor is charging/decaying. This equation is only valid when the magnetic field is perpendicular to the current. The force is then perpendicular to both the magnetic field and the current. The length is only the length of conductor (carrying the current) that lies within the magnetic field. This equation is only valid when the magnetic field is perpendicular to the velocity of the charge. The force is then perpendicular to both the magnetic field and the velocity. Magnetic flux can be visualised as the number of magnetic field lines passing through a surface area. Therefore, a stronger magnetic field corresponds to an increased density of field lines. 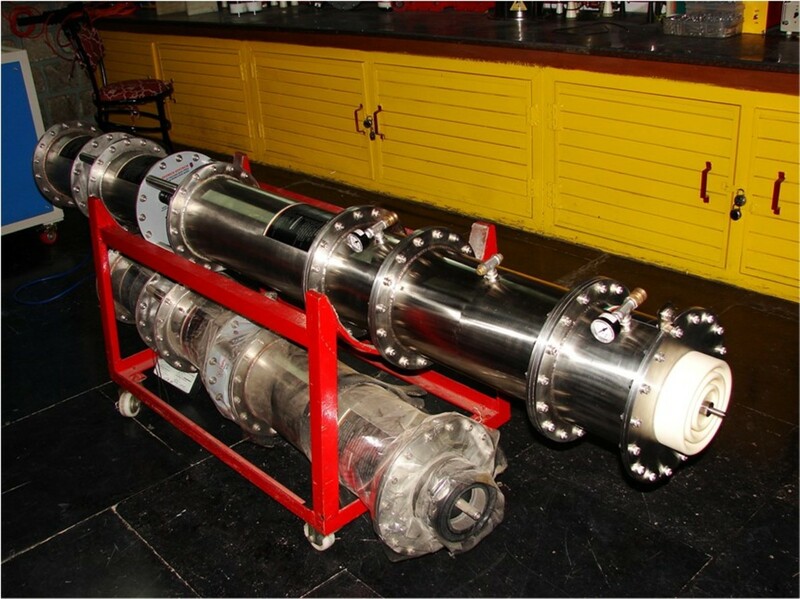 The magnetic flux linkage is the total magnetic flux through a coil of wire. This states that the emf induced by moving a coil of wire through a magnetic field is equal to the rate of change of magnetic flux linkage. The direction of the induced emf is such that the magnetic field it induces opposes the motion of the coil. An alternating current (AC) periodically changes the direction of flow. This is in contrast to direct current (DC) that only flows in one direction. The root mean square (RMS) values of an AC supply use the same amount of power as a DC supply with equal values. A transformer is used to step up (increase) or step down (decrease) the voltage of an AC supply. 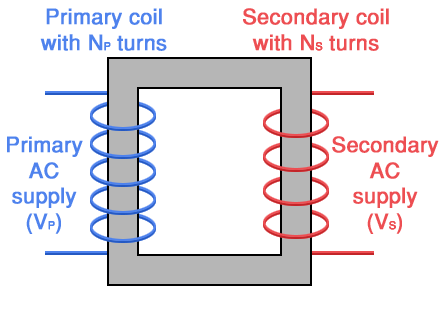 The alternating current in the primary coil causes a changing magnetic field in the metal core. This in turn induces a changing emf in the secondary coil. Efficiency is simply the ratio of the power produced (in the secondary coil) to the power input (in the primary coil). Laminating the metal core will increase efficiency by reducing the formation of eddy currents. The intensity of gamma radiation is inversely proportional to the square of the distance e.g. doubling the distance from the radiation source decreases the intensity by 1/4. The constant is determined by the radiation source used. The decay constant is the probability per second that a nucleus will decay. Radioactive decay is an exponential decay, meaning the number of radioactive atoms falls rapidly at first and then slowly tend towards zero. The activity of a sample is the number of decays per second. The half life is the time for half of the sample to decay e.g. after three half lives there will only be 1/8 of the original sample left that hasn't decayed. This relation has been derived from experimental data. The femtometre is a convenient unit for measuring the size of nuclei (1 fm = 1 × 10-15 m). Particle Physics: Why Do Electrons Have Spin of Half?